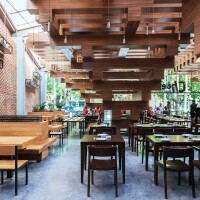 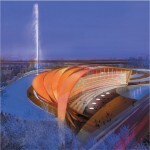 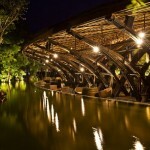 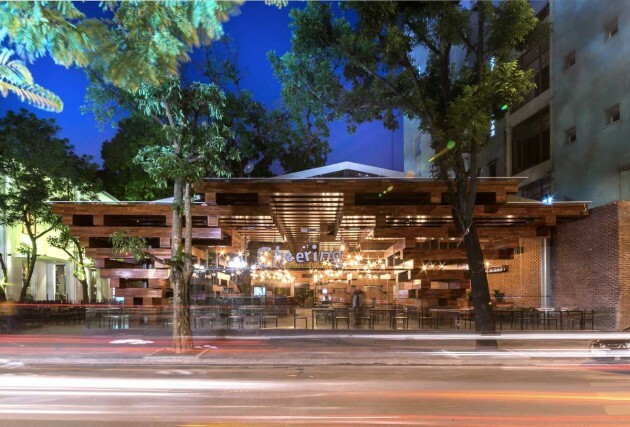 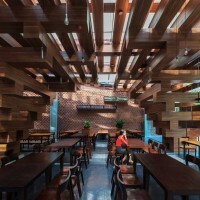 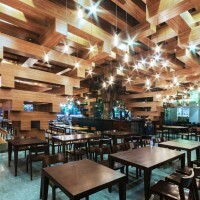 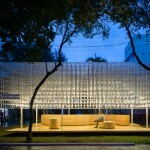 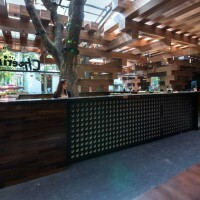 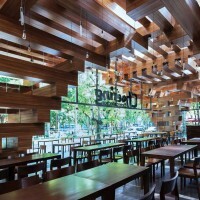 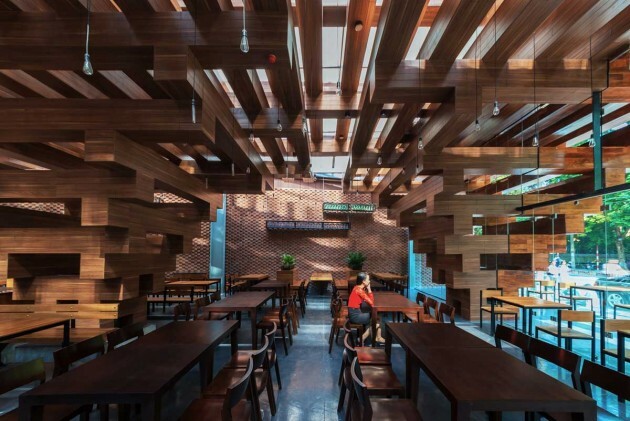 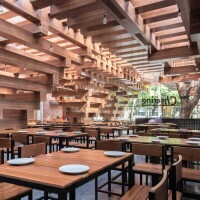 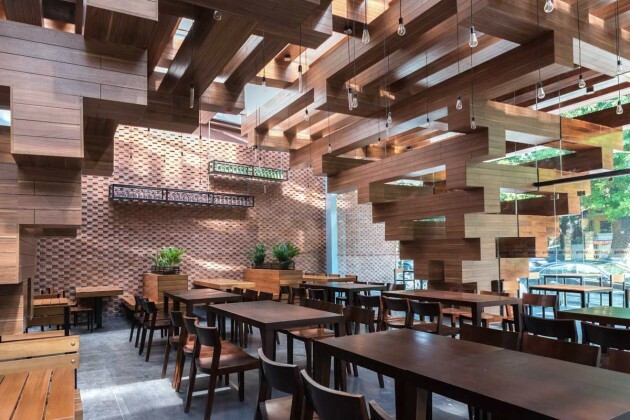 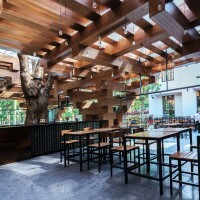 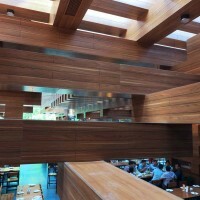 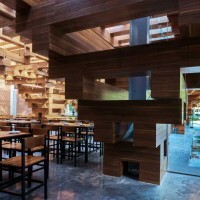 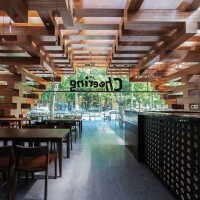 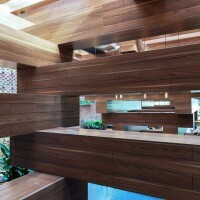 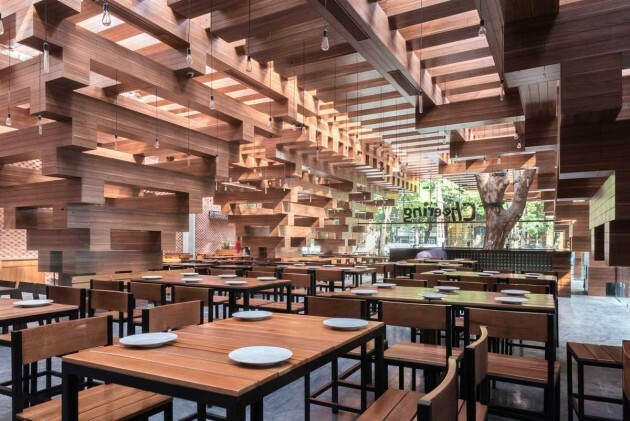 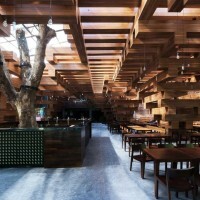 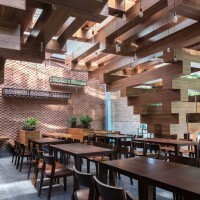 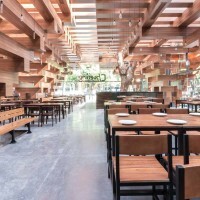 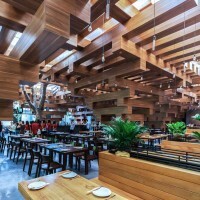 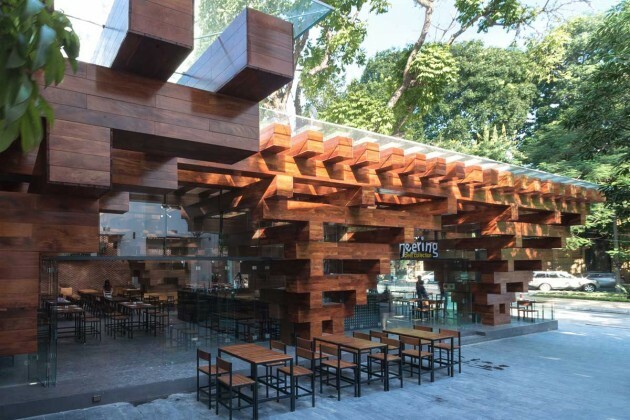 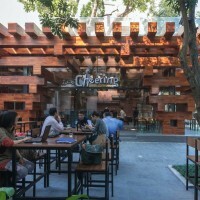 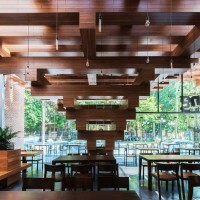 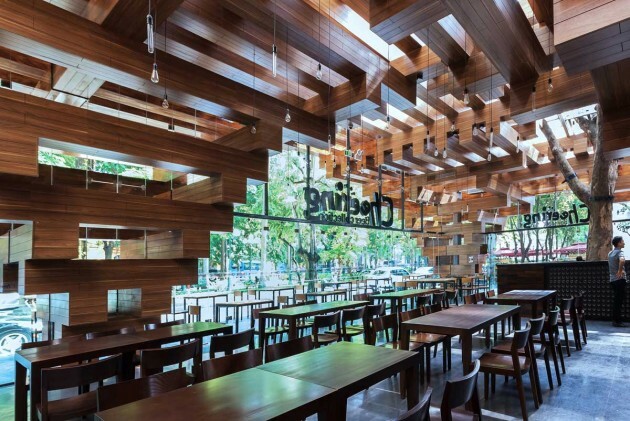 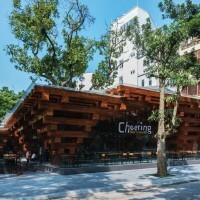 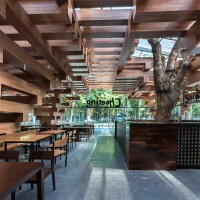 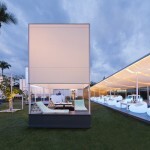 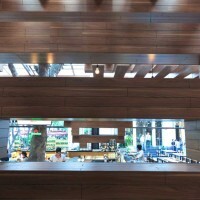 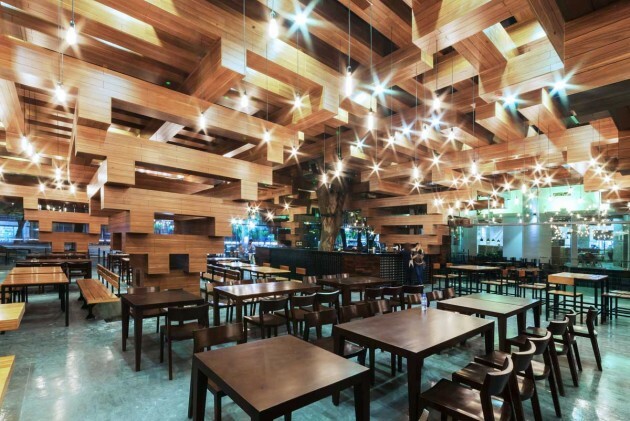 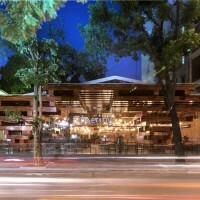 H&P Architects have designed the Cheering Restaurant, located in Hanoi, Vietnam. 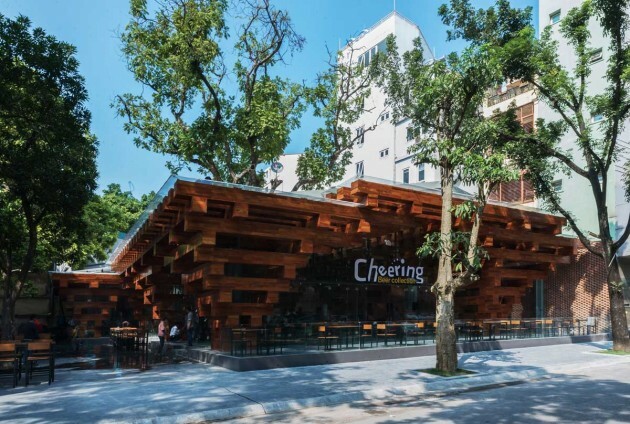 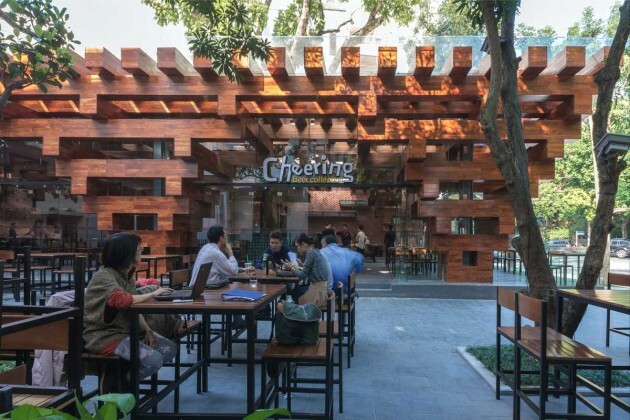 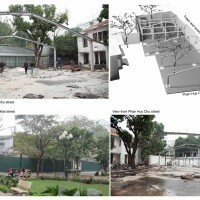 Located at the center of Hanoi, Cheering Restaurant is renovated from a long-closed project which still remains steel frame structure and reusable covering materials such as: glass, steel, bar steel, sheet-metal roof. 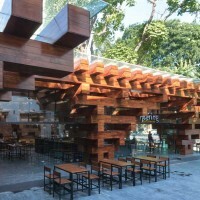 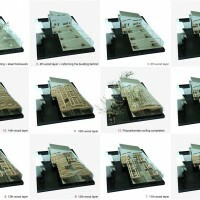 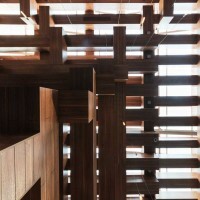 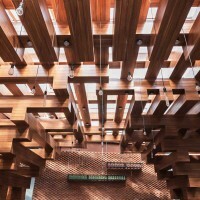 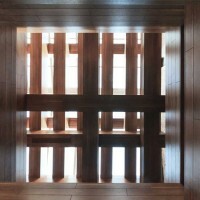 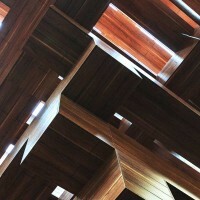 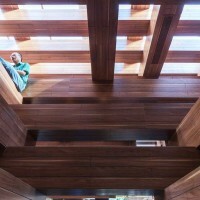 On the three-dimensional network divided by 4, the “timbers” stacked perpendicularly to each other and gradually spreading upwards in order to create “tree roots” for separating spaces and make children playground. 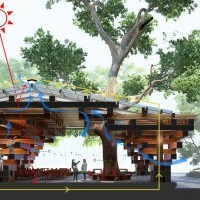 The “tree roots” continue growing alternately to make a stable frame which helps reducing heat and creating various shadows from the polycarbonate roof. 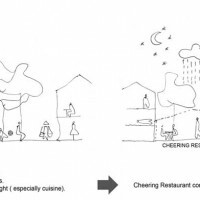 In the middle of the roof is an air layer which is cooled and cleaned automatically by water spraying system linked to the rainwater collection tank. 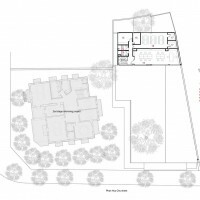 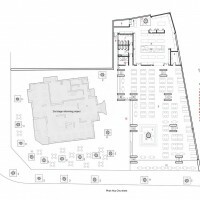 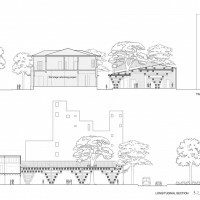 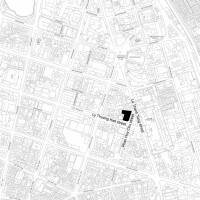 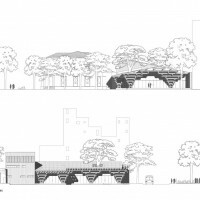 The proposal does not divide Structure and Covering; Ceiling and Wall; blurs the boundary between Inside and Outside; thoroughly utilizes Views and Landscape. 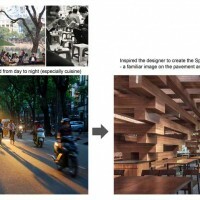 It creates special experiences for the users and brings people closer to nature by a space which contains the essence of Hanoi cuisine culture on sidewalk.